Tag Archives: TAN-The Afro News. World Poetry Celebrates Selwyn Jacob & the NFB! WP Afghan film screening in Richmond, BC. 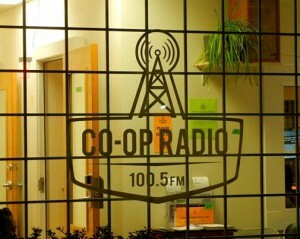 Ariadne’s Notes: The World Poetry Cafe Radio Show, on CFRO, 100.5 FM 1-2 pm. was honored to feature Selwyn Jacob from the National Film Board speaking about his retrospective film The Road Taken and publicist Katja De Bock who brought some tips for upcoming actors. Also calling in was the wonderful jazz musician from Chicago Erin McDougald celebrating her new CD “Outside the Soiree” and giving her thoughts about being an outsider and the MeToo movement. She will have a separate feature. A Must See Event! Selwyn Jacob Retrospective at DOCA. 2018 by Ariadne Sawyer, MA. for the Afro News and World Poetry Media. Selwyn Jacob will be honoured with a retrospective screening of his 1996 film, The Road Taken. The Road Taken 1996 documentary takes a nostalgic ride through history to present the experiences of Black sleeping-car porters who worked on Canada’s railways from the early 1900s through the 1960s and how they made a difference. This 1996 documentary takes a nostalgic ride through history to present the experiences of Black sleeping-car porters who worked on Canada’s railways from the early 1900s through the 1960s. There was a strong sense of pride among these men and they were well-respected by their community. Yet, harsh working conditions prevented them from being promoted to other railway jobs until finally, in 1955; porter Lee Williams took his fight to the union. 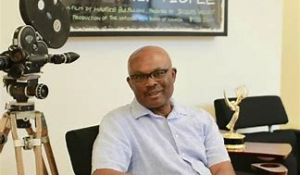 Selwyn Jacob is a Canadian documentary filmmaker whose work has often explored the experiences of Black Canadians as well as other stories from Canada’s multicultural communities, as both as an independent director and since 1997 as a producer with the National Film Board of Canada (NFB). Originally from Trinidad, Jacob attended a teacher’s college there before traveling to Canada in 1968 to complete a Bachelor of Education at the University of Alberta in Edmonton. While in Edmonton, he was influenced and mentored by film producer, author and broadcaster Fil Fraser. After graduation, Jacob completed a master’s degree in film studies at the USC School of Cinematic Arts. 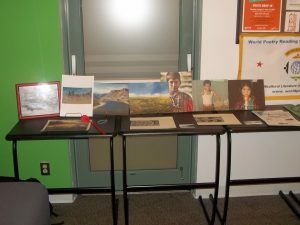 Jacob’s interest in Black Canadian non-fiction storytelling continued as NFB producer, supplemented by a notable range of films by Asian Canadian filmmakers from Canada’s western provinces, exploring their communities’ culture and histories, as well. His NFB producing credits include The Journey of Lesra Martin, about Lesra Martin, a Canadian youth who helped to free Rubin “Hurricane” Carter from prison; Jeni LeGon: Living in a Great Big Way (1999), a portrait of Jeni Le Gon, a Vancouver resident who had been one of the first Black women entertainers in Hollywood to sign a long-term contract with a major Hollywood studio; John McCrae’s War: In Flanders Fields (1998), a look at Canadian army doctor John McCrae, who wrote the poem, “In Flanders Fields”; Colleen Leung’s Letters from Home (2001); Linda Ohama’s Obachan’s Garden (2001); Ling Chiu’s From Harling Point (2003), about the first Chinese cemetery in Canada; Eunhee Cha’s A Tribe of One (2003); and Mighty Jerome (2010), a documentary film about African-Canadian track star Harry Jerome directed by Charles Officer. In 2014, Jacob produced Ninth Floor, directed by Mina Shum. The film documents a 1969 Montreal student protest against racism known as the Sir George Williams Affair, and was filmed in Montreal on the 45th anniversary of the event. It was an event Jacob had been aware of at the time, as a number of its participants had been from Trinidad—including one from his home village—and Jacob has stated that it was always his intention to make a film about the incident. Jacob’s interest in Black Canadian non-fiction storytelling continued as NFB producer, supplemented by a notable range of films by Asian Canadian filmmakers from Canada’s western provinces, exploring their communities’ culture and histories, as well. 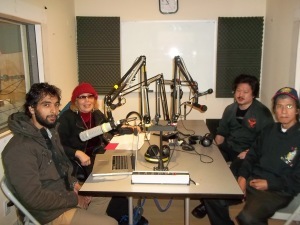 The World Poetry Café Radio Show, now heard in 104 countries and celebrating 20 years of being on the air was blessed to welcome the well-known documentary Vancouver producer/director filmmaker Selwyn Jacob to the show along with Katja De Bock from NFB on May 3, 1-2 pm PST, CFRO 100.5 FM in a fascinating interview highlighted by a question from a youth actor about getting continued work in the film industry. Thanks to the help from Katja De Bock and Selwyn Jacob in contacting Alvin Sanders, who recently ended several terms as vice-president of the Canadian union for actors in recorded media ACTRA, and who is a Black actor himself (currently playing a supporting role on the TV series RIVERDALE). For more advice please contact UBCP/ACTRA directly: http://www.ubcp.com/ UBCP/ACTRA is the BC Branch of the actor’s union ACTRA. “Because of the steady increase in shows in the streaming world (Netflix, Hulu, Amazon etc. ), the opportunities for actors in general have increased tremendously (more shows to be shot in BC and Vancouver) over the last 10 years, and particularly for diverse actors (as the distributors and streaming platforms are aiming at world-wide audiences, and want/need diversity in their casts). It needs to be said that actors cast in U.S. productions shot in Canada are usually cast in supporting roles, he says. NONE of the casting decisions on U.S. productions are made here. They are all made in the U.S. The majority of characters in any type of production (TV, web, feature, TV movie, etc.) these days are young (under 35). So all mediums are for young performers. It would be good to move to LA and get an LA agent if you want to be the lead character on a show. The World Poetry Café Radio Show would like to thank him for his help in answering the question and for his important tips for young actors. Sources: NFB, DOCA, Wikipedia., the Afro News. This entry was posted in Ariadne's Notes, E-Poets, Featured Poets, General and tagged Alvin Sanders, Author Sharon Rowe, http://www.ubcp.com/, International Peace Award Ariadne Sawyer, Katja De Bock, NFB, Selwyn Jacob, TAN-The Afro News., Victor Schwartzman on May 10, 2018 by Ariadne. A Must See Film! Indian Horse Reveiw For the Afro News by Ariadne Sawyer, MA. Indian Horse a must see film will open in theatres across Canada on April 13, 2018. This powerful transformational film is close to my heart because of the painful residential experiences that have touched our family due to ignorance , racism and lack of respect. The messages in it can apply to all of us. Please go see this important film! In late 1950s Ontario, seven year-old Saul Indian Horse is torn from his Ojibway family and committed to one of Canada’s notorious Catholic residential schools. In this oppressive environment, Saul is denied the freedom to speak his language or embrace his indigenous heritage and he witnesses all kinds of abuse at the hands of the very people who were entrusted with his care. Despite this, Saul finds salvation in the unlikeliest of places and favourite Canadian pastimes — hockey. Fascinated by the game, he secretly teaches himself how to not only play but develops a unique and rare skill. It’s as if he has eyes in the back of his head and can see the game in a way no other player can. His talent leads him away from the misery of the school to a Northern Ontario native league and eventually the pros. But the ghosts of Saul’s past will always haunt him. Forced to confront painful memories and revelations, Saul draws on the spirit of his ancestors and the understanding of his friends to gain the compassion he so sorely needs in order to begin healing. Indian Horse is a survivor’s tale that foregrounds the indomitable spirit of North America’s Indigenous peoples in the face of aggressive assimilation policies and racism. Based on the award-winning novel by Richard Wagamese, INDIAN HORSE will open in theatres across Canada on April 13, 2018. Recounting the story of Saul Indian Horse and his remarkable journey from a northern Ojibway child torn from his family and placed in one of Canada’s notorious Catholic residential schools, to a man who ultimately finds his place in the world, Richard Wagamese’s best-selling novel rose to critical acclaim when first published in 2012. 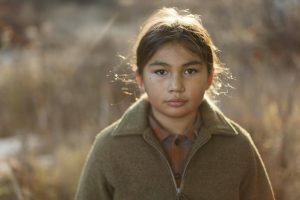 Shot on location in Sudbury and Peterborough, Ontario, INDIAN HORSE stars Canadian newcomers Sladen Peltier and Ajuawak Kapashesit who, along with Forrest Goodluck (THE REVENANT), portray title character, Saul Indian Horse, at the three stages of his life. The film also stars Michiel Huisman (GAME OF THRONES, THE AGE OF ADALINE) and Michael Murphy (FALL, AWAY FROM HER, X-MEN) and features a compelling performance by newcomer Edna Manitowabe. A residential school survivor herself, Manitowabe brings a soulful presence as Saul’s indomitable grandmother. Founded in 2013, with finance partner Teddy Schwarzman of Black Bear Pictures, Elevation Pictures has established itself as one of Canada’s leading film and television companies. Elevation’s team of seasoned production and distribution executives are committed to bringing an elevated and robust film and television slate to audiences. Sources: Many thanks to Elevation Pictures, and also the great help of Carrie Wolfe, publicist. Some additional information about the film is below and you can also learn more at www.Indianhorsefilm.com. A special note from a friend of Richard Wagamese. “When I meet him he was sleeping under bridge- he learned to put it all down on paper. A wonderful guy. Moved to Kamloops through hockey system Meet our people through hockey. Came to terms with the past, and used his talent to create books.” Ken Michel, his friend. Thanks to the Afro News for this reprint. This entry was posted in General and tagged Elevation Pictures, Indian Horse Film, International Peace Award Ariadne Sawyer, TAN-The Afro News. on April 13, 2018 by Ariadne. 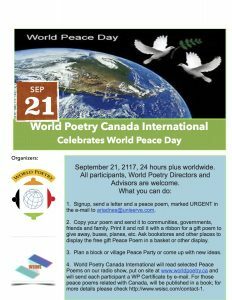 I want to thank all the World Poetry Participants , publishers, the World Poetry Canada International closed groups Peaceathon, World Poetry Youth Team and, media partners in print and digital poetry association partners and film partners. In 2017, the film partners reached numbered 7 and we are grateful for their wonderful films and the opportunity to promote them. We hope to expand into other media as well. The World Poetry Café radio show has been on the air continually since 1991 and the current team will be adding a couple of guest hosts in January and February. We just received a certificate from the station which I hope to post. The show how has now reached 101 countries and the book launches have also been very popular with a wait list for a variety of guests from LA and New York , USA, as well as the world. 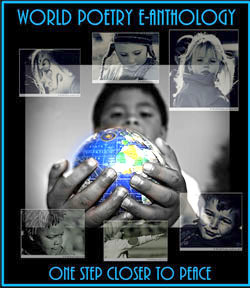 The World Poetry Peace Celebration still has poems to be read on the show and certificates to be sent out. 700 peace poems were received and are being read on the show with more coming in. A big thank you to are directors and advisors! This is a volunteer position for me and I hope to do the best job possible promoting all of you. In the new year, we hope to expand with a FB Media Page, podcasts and World Poetry Media reporters searching out and reporting on positive news with the goals of respect, unity, love and peace. This entry was posted in Ariadne's Notes, E-Poets, General and tagged Braitwaite and Katz, CFRO 100.5 FM, Elevation Films, http://www.coopradio.org/content/world-poetry-caf-el-mundo-de-la-poesia-238, NFB, Osiris Munir media, TAN-The Afro News., Taro PR Group, The Archive and the Orchard, The O, VIVF, World poetry, World Poetry Cafe Radio Show, World Poetry Canada & International, World Poetry Peaceathon on January 1, 2018 by Ariadne.